About 1 in 3 workers has had a brush with “power harassment” over the past three years, up from 1 in 4 in the previous poll in 2012, a survey by the Health, Labor and Welfare Ministry says. 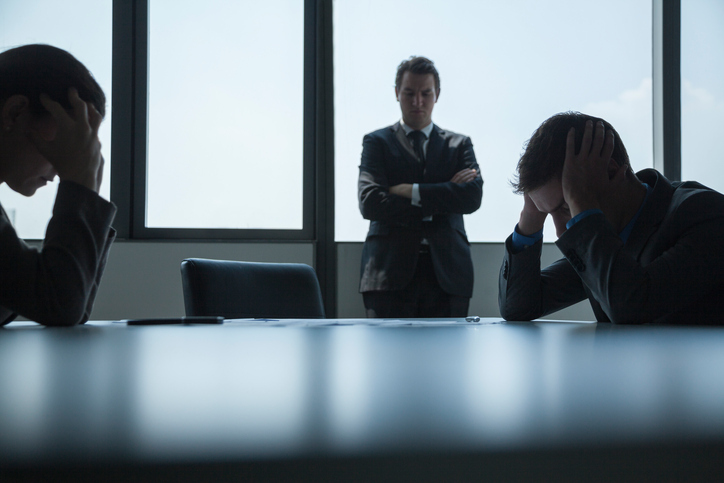 The results show that bullying remains a prevalent problem in companies despite government efforts to improve the nation’s working environment. The results of the poll, released Friday, show that 32.5 percent of the respondents had been on the receiving end of abuses of authority carried out by higher-ranking employees, up 7.2 points from 2012, when the figure was 25.3 percent. However, about 41 percent of those harassed failed to take action, with the majority saying that even if they did, they thought nothing would be done about the problem. Some also refrained from taking action due to fears that it would damage their next job performance evaluation. The survey was conducted on 10,000 workers and 4,587 companies with at least 30 employees between July and October last year. Power harassment was the most popular topic companies were consulted on by workers, followed by issues like mental health, working conditions (wages and hours), and sexual harassment. Most reported cases of power harassment took the form of psychological attacks, such as verbal abuse or threats, at 73.5 percent, while 21.2 percent took the form of demands. Those who faced power harassment said they felt anger or anxiety and loss of motivation to do their work. Some even visited the doctor and were prescribed medication. Although there has been an increasing awareness of power harassment over the past few years, nearly half of the companies, or 47.4 percent, had not taken preventive measures. The ratio was higher for small companies, at 73.6 percent for those with less than 99 employees and 11.3 percent for those with more than 1,000. The most popular measures companies resorted to was the introduction of consultation meetings and managerial training sessions about power harassment, the survey said. Asked about the positive effects of introducing preventive measures to combat the problem, 43 percent of the responding organizations said they improved the office environment by changing the mindset of the managers. Another 36 percent said it helped employees engage in smoother communications with their superiors. The companies also said the measures reduced the number of employees suffering from mental health problems. Last Friday, the labor ministry formed a panel to discuss measures to prevent power harassment, which was recently dragged back into the spotlight after the overwork-related suicide of 24-year-old Matsuri Takahashi at advertising giant Dentsu Inc.
Takahashi’s family said their daughter was not only a victim of excessive overtime work, but a power harassment victim as well.